Peter grew up around the real estate business. His father was a well known general contractor where he learned every aspect of home construction. He initially got into real estate on the investment side, buying and flipping homes when he was in his 20's. Eleven years ago, Peter moved to North Carolina and worked as an agent for a new home builder; he was a top producing agent almost from the start winning Platinum and Gold awards for sales. 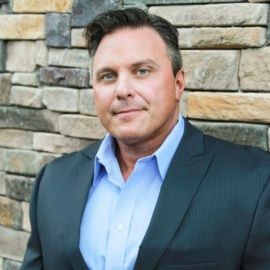 He was so successful in fact, that he ... See More decided to open up his own firm, Forward Realty, in 2006 which quickly became one of the most respected and in-demand Real Estate Company’s & Broker serving the Lake Norman and Charlotte areas. Peter earned the Title (Mr. LKN) from his sales and innovative marketing in the Lake Norman area of NC. Peter recently got his NC General Contractor’s license; just another advantage he can offer his clients when looking at homes. Peter has over 14 years experience as a real estate professional. Holds a marketing degree, a certified luxury Home Marketing system degree, was crowned Top agent for Charlotte NC 2016 in Top agent magazine, Platinum & Gold award winner for high volume of sales.